These headphones will also appeal to all serious music consumers. 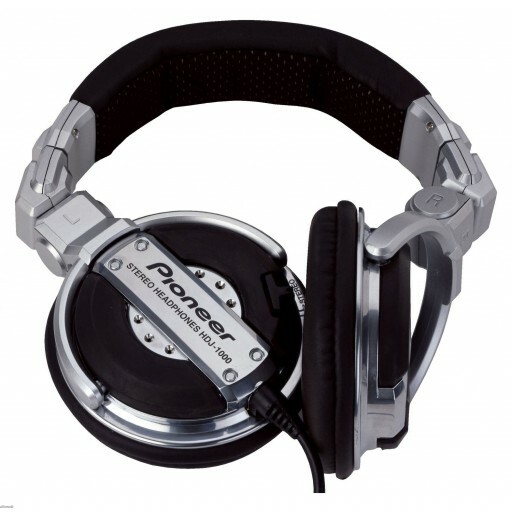 They offer exceptional sound quality, lightweight design and futuristic look. Their 50 mm driver units and high-flux magnets create outstanding resolution, from bass to treble, and are ideal for studio applications. The HDJ-1000 have the capacity for 3,500 mW of input, which means distortion is prevented, even at sustained loud volumes. Each ear-cup gives excellent insulation and swivels a full 90 degrees, which presents great flexibility especially for DJs who prefer the ‘on-shoulder’ method of monitoring. To improve monitoring, there is also a convenient stereo/mono switch. When not in use the HDJ-1000s can be folded to reduce size.